According to a study conducted by The National Center on Addiction and Substance Abuse at Columbia University, about 40 million Americans over age 12 are dealing with some sort of addiction problem. The Pew Research Center reports that 70.6 percent of Americans identify themselves as Christian. Together, these statistics point to the fact that Christians are struggling from addiction just the same as non-Christians are. Christians are met with the same addiction challenges of detox, dual diagnosis, and everyday battles with temptation. The main difference lies in how Christians approach recovery and their desire to include God into the process. Christian treatment centers differ from more traditional ones mostly because they add a spiritual aspect into their programs. The staff at these locations understand and respect Christian beliefs, and emphasize the spiritual health of a person as much as the physical, mental and emotional. In many cases, programs at Christian rehabs take AA’s 12 principles and modify them to reflect scriptural truths. The clearest example of this is specifically naming God, rather than AA’s phrase of “power greater than ourselves.” Next comes the call to submit their lives to Him, and to let God’s Holy Spirit change their hearts and behaviors. The use of Christian disciplines such as Bible study, meditation and prayer, is also part of a client's overall plan. The goal is to lead people to actively seek God’s strength and wisdom for each day rather than their own. Many Christians say that taking part in Christian addiction treatment has brought them lasting benefits. The connections they have forged often become deep and lasting because of shared beliefs and experiences. The acceptance and grace they receive from others has led them to a greater understanding of God's love. Those who have an alcohol use disorder, Christian or not, often need to start the process of recovery with detox in order to flush out whatever alcohol is in the body. Detox usually causes a strong physical reaction for those with alcohol abuse disorder. Tremors, or shaking, are common withdrawal symptoms. Some people experience hallucinations, seeing, feeling, and even hearing, smelling or tasting things that aren't really there. In more serious cases, withdrawal from alcohol can bring on convulsions or seizures. All these reactions, though alarming, can be eased - that's why it's vital to go through detox under medical supervision. Medications are not usually prescribed for people during the Detox stage. Drugs such as Campral and Revia have been used to help ease cravings as treatment continues. But the biggest emphasis is on equipping people to change their behaviors and habits. This is where a person's spirituality may have the biggest impact. In terms of alcohol addiction specifically, research conducted by Lyons (2010) concluded that “the occurrence of A Spiritual Awakening while participating in a 12-step-based program can increase post-treatment abstinence by up to 4 times.” According to Stuart, Koeske, and Pringle in 2008, those who regularly practiced their faith or religion at the beginning of the study were more than five times as likely to achieve abstinence 3 months later. Treating drug abuse calls for a variety of approaches. Medications like methadone, buprenorphine, and naltrexone are used to temper withdrawal symptoms, as well as to reduce cravings. Any use of medications must be closely monitored. Some type of behavioral therapy and group support is also necessary to long-term recovery. Christian-based therapy groups can play a large part in this area. In a 2011 study, Burkhart, Schmidt, and Hogan documented how spiritual well-being is connected to better adherence to drug abuse treatment programs. Research by Simpson in 2003 included religious and spiritual support on a list of positive motivators in recovery. The American Medical Association claims that up to 37 percent of alcoholics and 53 percent of drug addicts also suffer from mental illness, and almost 30 % of those with mental illness abuse alcohol or drugs. People dealing with any combination of these two conditions are said to have a dual diagnosis. The relationship between substance abuse and mental illness is very common and very complex. Today, what's called a "parallel treatment" plan is often used, which addresses addiction and mental illness together at the same time. Certain mood stabilizers like lithium, or anti-anxiety medications BuSpar have been used effectively along with talk therapy. Depression is just one example of a psychiatric condition that can become entwined with substance abuse. For Christians, there can be an added struggle because of a faulty belief that faith in God should protect them from feelings of sadness, loneliness or discouragement. They may take on guilt or shame and feel unworthy of God's love. There are many elements to consider when looking for a faith-based rehab center. The first, and most important thing is to make sure that the center is accredited. All staff members should be certified and licensed (the requirements vary from state-to-state). They should be able to provide traditional methods of treatment while being sensitive to spiritual values of their clients. The facility itself should be clean, organized and welcoming. What grants, scholarships or loans are available? Do they offer payment plans if needed? From there, more specific questions about faith and how it is employed in treatment can be brought up. When clients arrive at a Christian rehab center, they will go through many of the same procedures as at any other center. But they will quickly see a facility and staff that is designed to reflect a Christian viewpoint, which will hopefully add a level of comfort and security during this difficult time. Like in a traditional center, an intake evaluations happens on the first day. This includes checking physical and psychological conditions, as well as documenting health and family histories. With this information, doctors and staff are able to put together an effective treatment plan for the length of a person's stay. Rules of behavior vary from center to center. Some are very strict, while others allow for more freedom for patients. Most centers have the same set of basic regulations, such as no alcohol or drugs, no leaving the center, no cell phones or electronic devices allowed. Of course, everyone is expected to attend all therapy sessions and take part in any faith-based activities. Having an aftercare strategy is vital to continued success for those in recovery. Along with help in transitioning back into the world, some Christian rehab facilities offer help with finding a local Church Fellowship, or even mentors who share their faith. Ongoing support is vital to the success of anyone’s recovery. In the area of faith-based treatment, different types of Christian counseling have a role in helping a person grow and change for the better. Belief in God's power to heal, and trust that He desires to bring health and wholeness are the foundation for both types of therapy. Individual counseling with a trained church Pastor, lay leader or counselor offers a safe place to explore confidential feelings, thoughts and beliefs. Private sessions allow a person to sort through their issues at their own speed, looking to God and His Word as the final source of truth. In fact, for many the act of Scripture study leads them to make important discoveries about themselves. Support groups provide a built-in network for those in recovery. Just becoming more aware that others are on the same journey can comfort someone who feels alone. Hearing and sharing testimonies about how God has worked brings encouragement and hope to a heart that is struggling. Programs such as Celebrate Recovery are examples of Christian group therapy. 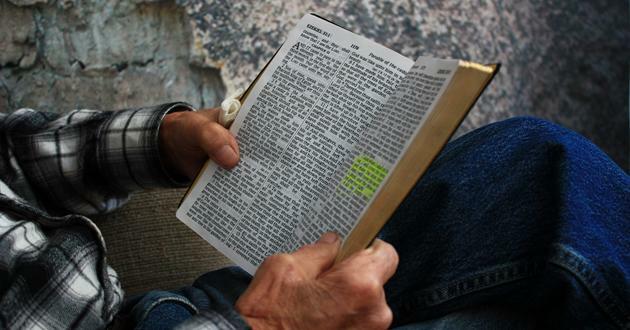 Introduced by Saddleback Church in California, CR brings Scripture into the 12-Step program model. A typical CR meeting consists of both large group and small group time. The first section of the meeting consists of worshipping God all together through music and listening to testimonies. Next, smaller groups spend time reciting the principles and steps of AA, reading scripture, learning on a topic, and going around the circle sharing. The power of this kind of Christian support program lies in becoming part of a regular group. Hearing how other people are struggling, growing and learning with God's help encourages members that they are not alone. Forming those kind of bonds with other Christians creates a safe environment to be open and honest with all our faults. That, in essence, is why so many Christians desire to find faith-based recovery for their addictions. Whether at a center or at home, they want to know that God is part of every phase of their recovery, and that He will give them strength for each day ahead.